A push-and-pull effect regarding the start of classes has students and parents/guardians across Belize puzzled. Due to the 11-day industrial action taken by the BNTU in October 2016, the Ministry of Education (MOE) had initially agreed to deduct four days from the Christmas break and two days from the Easter break to make up for the lost time. However, before schools closed for the 2016 Christmas holiday break, the Belize National Teachers Union (BNTU) issued a press release that ordered students to take their full Christmas vacation and return to the classroom on Monday, January 9th. In response, the MOE issued out a press release reminding students to disregard the BNTU’s press release, and that classes for the new semester will resume on Tuesday, January 3rd. Parents/guardians had to play the waiting game, and see what the outcome would be on Tuesday morning. Some students dressed in their uniforms and arrived at school. The majority of schools across the country canceled classes, due to poor attendance. All primary government schools were closed on January 3rd, while San Pedro High School (SPHS) classes were in session. However, on January 4, 2017, all schools were closed, including SPHS, and students were told to return on Monday, January 9th. Dear CEO Hyde: On December 28th 2016 the Government of Belize issued a press release entitled PUBLIC CONSULTATION ON THE MARINE MULTIBEAM AND SEA SEEP SURVEY. That press release states that the Ministry of Economic Development and Petroleum “invites the general public to a public consultation on the Marine Multibeam and Sea Seep Survey that the Government of Belize intends to complete in the deep offshore territorial waters of Belize” and that “the public will have an opportunity to clarify any concerns and to share their views on the survey”. The Belize Coalition to Save Our Natural Heritage is therefore requesting additional details regarding the intended structure and purpose of these public “consultations”: • How will input from the public be handled? • To whom should written submissions be forwarded? • Will the public’s input play a role in whether or not the government decides to proceed with the multibeam and sea seep survey? If so, what is that role? The reports that Guatemalan authorities have released a document suggesting that its inhabitants are allowed to fish unimpeded in Belizean waters all the way up to Punta Gorda Town in Southern Belize, has once again caused outrage among Belizeans. Investigations have revealed that the Guatemalan regulation dates back to 2002, and according to current government officials, they were unaware of such regulations by the neighbouring country. The Government of Belize (GOB) has since categorically rejected this fishing legislation imposed by Guatemala. In an official statement issued last week, the GOB stated that Belize’s maritime spaces are established by the Maritime Areas Act of Belize, which is in accordance with international law. GOB has described the move by Guatemala as a flagrant violation of International Law and Belize’s maritime sovereignty. The response also included that there can be no validity to, of international and Belizean recognition of, any law or regulation in Guatemala that purports to infringe on the sovereignty and territorial integrity of Belize. Every year Ambergris Today asks you to nominate an exceptional person who is doing positive things for the island community. Someone who is helping others, giving of his/her free time, making a positive change for the betterment of others or promoting a good cause. Our team goes through the nominations and there is usually a clear winner in the bunch. We have decided that 2017 will be the year we involve you more in the production of YOUR news with a positive attitude. Why not start with the biggest decision of the year? We’ve taken the four most nominated candidates and we want YOU to choose the winner! How you ask? In a Live Stream Poll. That’s right, you get to choose LIVE and see the results of the poll as the votes accumulate! Since the branch has started doing blood drives in 2013, the San Pedro Red Cross has collected 267 pints of blood for our Ambergris Caye Reserve and helped 19 people with 46 pints of blood. 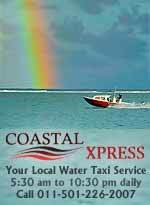 Recipients were country wide from Ambergris Caye, Belize City, Caye Caulker, Dangriga and Orange Walk. Please keep in mind that pints of blood have a shelf life, so our quarterly Blood Drives are always important to make sure we have the capacity to help when needed. Not one but two celebrities were spotted at the Tipsy Tuna in Placencia for the New Year’s countdown. James Franco, or better known as Harry Osborn, Green Goblins son in the movie Spiderman, mingled with the crowd at the tourist hotspot of the peninsula. He was nice enough to take picture with his fans. James is also known for his roles in the movies Rise of the Planet of the Apes, Spring Breakers, Oz the Great and Powerful, King Cobra and many more. The second celeb ringing in the New Year at the Tipsy Tuna was Drew Carey (pictured above). He is an American actor, comedian, sports executive and game show host. He is best known for his own sitcom “The Drew Carey Show” or the famous game show host of “The Price is Right.” A third celebrity spotting took place in San Pedro, Ambergris Caye. Alan Tudyk was caught on New Years Day as he made his way to dive one of Belize’s greatest assets, the great Blue Hole. John Romero of Amigos del Mar shared his photo-op with Alan on his diving trip. Alan is an American actor and voice actor. He is best known as Steve the Pirate in the movie Dodgeball, also for his role in A Knight’s Tail. His voice is well recognized in various movies such as Wreck it Ralph, Frozen, Big Hero 6, Zootopia and Moana. The San Pedro Branch of the Belize Red Cross (BRCSP) would like to wish everyone a healthy, safe and prosperous New Year. San Pedro Red Cross is committed to Saving Lives and Changing History Through Helping our Community. Our two primary ways of doing this are through Blood Drives and First Aid trainings. This year BRCSP held 5 blood drives and collected 64 pints of blood. Blood Drives were held at the Dr. Otto Rodriguez Poly Clinic, San Carlos Medical Center and Washington University. As a result the San Pedro Branch was able to help 9 people in need receive 19 pints of blood. Join us in welcoming Tyler Perry to the line up of speakers for Leadercast 2017. Book your tickets for May 5th 2017, Belize Biltmore Plaza. Join the race and take the challenge for Chiquibul - support, volunteer and participate in the first Chiquibul Challenge Marathon race (20K/40K) on March 12th 2017. Registration form and payment options will be shared later this week. As we continue to work to develop this event, and seek sponsors we have a little race ahead of the race aside our own busy schedules. Which brings me to: on the 18th of February we are organizing a 5K/10K race in San Ignacio and the first prize in the 10K categories will be... free entries to the Chiquibul Challenge Marathon! So put on those shoes and get out there to enjoy a good run or walk and we hope to see you soon! Attention ALL Liquor License Holders and New Applicants! Please take note of the dates! Also, Trade License Holders, if you have not renewed your license, please visit the San Pedro Town Council office to do so, as you are now operating without a valid license as of December 31, 2016. A BELIZEAN LEGEND: CALLING HARRY CADLE! It's been some years now since Belizean Legends started the hunt to feature the legendary Belizean multi-talented athlete, Harry Cadle, who after his migration from Belize now lives in Los Angeles. He has become just one of those Belizean legends that we here at Belizean Legends will continue to hunt, and if successful soon next year 2017, will bring you the story of this incredible talented Belizean athlete from the 1970's Belize football and basketball greatness in living color and the spoken word. Until then...! On Wednesday December 7th, 2016, the Forest Department confiscated a total of 31,000 board feet of rosewood in flitch and lumber form in the Benque Viejo area. The Department proceeded to charge Miguel Angel Estala on January 4th, 2017 at the San Ignacio Magistrate Court with "unlawful possession of forest produce" in accordance with Section 19 of the Forest Act CAP 213. Estala pleaded guilty and was charged the maximum fine of $1000.00, the rosewood material was forfeited to the Government of Belize. The Ministry of Fisheries, Forestry, the Environment and Sustainable Development recognizes that perpetrators face a relatively minor penalty for forest crimes. Therefore, it has embarked on an exercise to revise penalties and fines for forest crimes, and will seek to introduce the necessary amendments to the Forest Act at the next sitting of the House of Representatives. 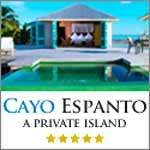 Marie Sharp's is coming to Cayo! They are launching a Tourist Center downtown. 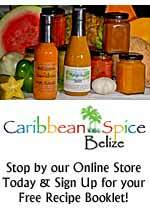 They'll have culinary classes there to, so you can cook some wonderful - and spicy - Belizean food. They'll be located at 2 Victoria Street, in the Busman Arnold building. 47 Year Old Killed - Is It Because He Was A Gangster's Uncle? 47 year old Bert Abraham is the 6th murder victim since Saturday. He was gunned down in front of his Holy Emmanuel Street home last night around 7:30. We were the first on the scene and we had shown you a few pictures during our newscast. Tonight we have more details. I spoke to his older sister to try and find out why Abraham was targeted: There was never a dull moment when Bert Abraham was around, he would always be blasting music and putting on a show for whoever would watch him dance. But last night, there were no dancehall rhythms to jam to only the deep crackle of the police radio as it came alive And dreaded sobs and whispers among loved ones Abraham was shot several times in front of his house as he was stashing his weed after a sale. Yesterday we told you about 19 year old Randolph Johnson who was shot dead near Mile 2 ½ on the George Price Highway. It's an unusual murder because it happened in a relatively remote location. At around 2:00 pm, he was fishing with friends in a secluded area about a mile west of his neighborhood in Saint Martin's Deporres. That's when an armed man ran up and fired several shots at Johnson, hitting him in the chest, right leg and left palm. His friends rushed him to the hospital, but he was dead on arrival. We spoke to his family members today to get a better idea of what happened, and see how they're coping with the unexpected loss… Alex Courtney: "Could you just tell us what the family know about the incident that happened?" Voice of Aunt of the Deceased: "We no know nothing much, all we know he mi gone fishing yesterday and somebody call and say they shoot ah up." Alex Courtney: "And police has not given you any information about the investigation so far?" Voice of Aunt of the Deceased: "Not yet." So, these murder cases continue to stack up – waiting to be solved. Police are working with what information and evidence they have to lay charges and they have made progress in one case so far; that’s the Sandhill killing of Dillon Grinage. 19 year old Patrick Harris was charged with murder yesterday evening. He was arraigned today. Harris is accused of shooting Grinage on Saturday night. Grinage was hanging out at a food shop at the Maskall junction when Harris allegedly snuck up behind him and shot him dead. Reports are that both men had a disagreement earlier in the day. Harris was remanded to prison until March 1st . Police are also looking for another suspect in this case. After a brief pause for the holidays, the Senate Hearings on the Immigration Department resumed today. The Senate Select Committee called Former Acting Director of Immigration Maria Marin to testify. Now, she was called to respond to the claims made by Auditor General Dorothy Bradley and her lead auditor, Carla Faber. In the last session, they outlined the mass irregularities at the Department between 2011 and 2013. In their testimony the auditors explained why they singled out Marin for allegedly trying to get in the way of their audit. Well, Marin got her long awaited chance to defend herself today. Here's how it went: Hon. Aldo Salazar - Chairman, Senate Select Committee: "The director Mrs. Marin has consistently found ways to evade requests made for the accessing of records." Maria Marin - Former Director of Immigration: "The following have been requested and not received. An internal report, that internal report I believe she was referring to the restructuring report that was a paper that was to be submitted to cabinet. I did not have a copy of that and from the very inception when they requested on I think it was the 15th of October 2013, they requested a copy of that internal report." Who Will Be NGO Senator? And the Senate will soon be joined by a 13th. Senator. Yesterday, the NGO community nominated 7 persons to be senators; 6 have accepted the nomination. They are: Pablo Collado – he's a popular flutist, but he is nominated by his organization called, "Adopt a Child With A Disability" Janelle Chanona, the OCEANA Vice President has accepted the nomination. Edilberto Romero, from another conservation NGO called Bacongo has also accepted the nomination. Osmany Salas, who is the president of BTIA has also accepted. Donovan Reneau, a popular radio DJ and visually impaired advocate, has been nominated by the Belize Council for the Visually Impaired. Belmopan police are asking the public to be on the lookout for 10 Salvadorian fugitive gang members who escaped a maximum security jail in their country. Newspapers in Honduras and Guatemala report that the men used a hacksaw to cut themselves out of a jail cell at the San Francisco Gotera penitentiary on Sunday. 50 men were housed in the cell, but only 10 managed to escape from the prison, which is known to house gang members. These escapees are reportedly linked to the MS-13 Gang, or Maras Salvatruchas. Now, Honduras and Guatemala share borders with Salvador so they are on "maximum alert", but Belmopan police say Belize should also be on its guard. And that's because there are large Salvadorian communities residing in Belize, especially in the greater Belmopan area. 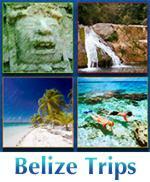 Belmopan police say, quote, "there's a likelihood they could come to Belize." End quote. The capital cops are asking anyone seeing any of these men to call police. They are considered dangerous. A Japanese woman is in jail tonight after her Belizean husband says she threatened him with his own gun. Elvis Solis says that on December 18, and again on December 21, 2016 Asako Solis threatened him with his licensed nine millimetre pistol in his bedroom. He claims she additionally told him, to give her the money or she would kill him – referring to money in a safe. That's two counts of aggravated assault with a firearm and threatening words. Now, the firearm offence carries an immediate remand, even though she told the judge today "Nothing like that happen. Not guilty" Still, the 37 year old was remanded and her case was adjourned for March 8, 2017. Her Attorney Alifah Elrington has already started the bail application for Solis and those documents are expected to make it to the Supreme Court by Friday. Last month we told you about the rosewood confiscated in Benque Viejo Town. Today, the Forestry Department confirmed that the 31,000 board feet in flitch and lumber form was the property of Miguel Angel Estala. He appeared in the San Ignacio Magistrate Court yesterday charged with "unlawful possession of forest produce". Estala pleaded guilty and was assessed with the maximum fine of the quite paltry one-thousand dollars. The rosewood was forfeited to the Government of Belize. The Ministry of Forestry acknowledges that the fine is minor and is working on revising penalties and fines for forest crimes. In related news, the Forest Department also conducted an operation in the Gomez Estate, a large, privately owned forest in the Toledo District, where they found 1000 board feet of rosewood along with 2500 board feet of Santa Maria lumber. Western Dairies Ice Cream has been a fixture in Belizean refrigerators for years, and now the people of Grenada will be able to stock their shelves with it as well. The first shipment of the Belizean ice cream went out today. Over 24 flavours are being exported in sizes ranging from 3000 cups to over 50 one-gallon containers. Western Dairies General Manager, Armando Estrada told that Grenada is just the first step, and that they plan to expand exports to the rest of the Caribbean. Basil Willis is no stranger to the Magistrate's Court. He has a rap sheet of over 90 offenses, many of which he has been convicted for. Well, today, less than two weeks since he got bail for a burglary at the Grace Primary School Kitchen, Willis was back in the dock. Yesterday, mechanic Egbert Vernon reported to CIB personnel that his car was broken into and over $1000 worth of tools were stolen. Police were quick to respond and found Willis, tools in hand, just thirty feet away from where Vernon's car was parked. In court today Willis pled guilty to handling stolen goods and damage to property. Magistrate Carlon Mendoza refrained from imposing a non-custodial fine due to Willis's storied criminal history. Instead, Magistrate Mendoza sentenced him to a year in prison for each offence, with the sentences to run consecutively. The Central Health Region which covers the Belize District reports that in the public health system there were only 38 cases of Dengue reported in 2016, compared to 66 in 2015. But there were two cases of Dengue Hemorrhagic, compared to none the year before. There were 29 cases of Zika reported with no cases of malaria or Chik-V. We stress this is only in the Belize District public healthcare system. And, not surprisingly, the leading cause of death in this area in 2016, was homicide, with cardiovascular causes second, and cancer, third. Also, the total cases of infant mortality in 2016 were down from 34 in 2015, to 23 in 2016. As we told you earlier, Southside police weren’t giving any interviews on the two murders which happened just a few hours apart yesterday. That’s uncharacteristic, but the insist they only wanted to talk about positive news today – and that meant the usual Wednesday meet and greet session. 48 officers flooded into precinct two – and went directly to the St. Martin’s area where rival gangs caused yesterday’s two murders. We asked Dawson what the community reaction was like: Commander Williams was working in the area, but on an investigation. Who Wanted Randolph Johnson Dead? Rosewood Busted in South and West; Stiffer Penalties for Offenders? Is Ex-C.E.O. to Blame for Immigration’s Black Eye? George Street Invades Ladyville – Police Want Them Out! What’s the Strategy for Police Department? On New Year’s Eve, 26-year-old, Dillon Grinage was killed in Sandhill Village, Belize District. Yesterday, investigators made an arrest and charged the individual with murder. ACP Edward Broaster updated the media. EDWARD BROASTER ” Grinage was killed just after 9pm making it the last and the 138th murder for 2016. 10 ‘highly dangerous’ gang members escape from El Salvador jail; could they be heading to Belize? 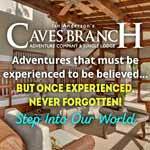 Caves Branch Jungle Lodge is “for the Birds”! From the exotic Blue Crowned Mot-Mot to the elusive Keel-Billed Toucan (the national bird of Belize), these and other beautiful winged creatures are our most colorful guests in the area of Belize where Caves Branch Jungle Lodge’s 50,000 acre estate is situated. To confirm what we already knew for years, our lodge was asked to join the Annual Bird-A-Thon, held this past May 2016, for which we enjoyed the taste of victory at wining the H. Lee Jones Cup trophy from the Belize Raptor Research Institute. Caves Branch Lodge topped the competition with “206” species within a 24 hour period- making the property the “birdiest” destination in Belize. At any given day, all types of birds in their illustrious plumage frequent our property grounds; while others require an early morning tour to encounter their distinctive calls and habits. Rapidly becoming a mecca for bird watchers from around the globe, the pristine landscapes of Belize are home to nearly 600 species of birds. It is hard not to become enthused about the spectacular variety of feathered creatures one encounters during their visit & tours, accompanied by the most patient and expert guides who easily point out the “call” before the bird. These highly trained bird freaks are so tuned to nature that they can pick up a bird call and tell you exactly what species it is as well as the gender. Everyone loves a good action movie- a good plot or a fantastic tale, but did you know that Belize is featured in a few pretty good movies? Yep, you heard right- Belize is the background for several Hollywood films and here is the list: 1) 2012: Kurse a di Xtabai (Curse of the Xtabai) directed by Matthiew Klinck, this 80-minute Creole-language thriller is the first major dramatic movie filmed entirely in Belize. The feature was selected as the opening night movie of the 2012 Belize International Film Festival. 2) Alien Origin- Shot in the jungles of Belize and filmed by Mark Atkins, this 2012 action movie features scenes in some of Belize’s expansive cave system and even a Mennonite community with mysterious plot about an archeology team that goes missing during an expedition. For many foodies, a super great meal can be a life-altering experience in the most delicious of ways. And when a restaurant or eatery displays key elements, such as consistency, hospitality and creativity plus superb food day in and out, you simply have to let the word out on these gems. But with new restaurants popping up like microwaved popcorn, it is a tough position to be when deciding which spots deserve your hard-earned cash and especially your time. In this guide, we will walk you through a list of 6 excellent restaurants to eat at in Belize. I would give anything to be out at sea every day. A self-appointed water baby, I think the only thing better than splashing waves and salty sea breeze is being out at sea on a decked out boat. Lucky for me, Seaduced by Belize has recently added such a vessel to their fleet and a couple of us lucky My Beautiful Belize writers were invited for a play date. The double-deck houseboat, christened “Sea’s D Day” is the pride of owners Elito and Rebecca Arceo. This vessel is definitely one-of-a-kind, remodelled beautifully by Rebecca herself! Featuring a large sun deck on the upper level, there are plenty of lounge chairs and an ample serving counter. Elito mans the boat from the top. The lower level is even more outstanding with a fully functional kitchen, two lounge areas, a patio and two bathrooms. “Sea’s D Day” departs from Sunset Boardwalk on the lagoon side of the island and, unlike conventional tours, takes you on the leeward coast of the island to a pristine sandbar. Flores, Guatemala: Is it More Than Just Tikal? Just 2 days ago, I embarked on my 2 week trip in Guatemala. Not exactly backpacking since the idea of sharing a dorm room with the young party crowd makes me feel…well…tired. But a lazy tour taken solo with a budget (or a guideline budget of $50US a day) – no real schedule or plans except to start my trip in Flores, Guatemala. Flores is just over the western border from Belize. There is the city of Santa Elena (with an airport and a bus station) and her smaller sister island city now connected by a causeway – Flores. Built on top of an older Maya site (like many of the towns in this region), Flores is the ideal spot to start off a Guatemalan holiday. Both are on the 2nd largest lake in Guatelama, Lake Peten Itza. Fresh water and about 40 square miles. Flores has always been referred to as the “gateway to Tikal” and for many, Flores and Tikal seem almost interchangeable. Tikal and the jungle around it are stunningly beautiful and a major Maya site but is it the only reason to go to Flores? Nargis Fakhri who's last Bollywood outing was 'Banjo' opposite Riteish Deshmukh is spending her days taking exotic vacays to the most amazing holiday destinations across the globe. She has been spending the last few days in Belize and the leggy lass has been posting some rather interesting pictures from her beach holiday. The svelte actress seems to be having the time of her life basking in the sun. In a recent selfie, the actress can be seen wearing over-sized sun glasses, with her earphones plugged in. Perfect way to enjoy the beach, isn't it? She captioned the picture, "Music produces a kind of pleasure which human nature cannot do without" -Confucius Throwback to good times in Belize #music #vacation. Madonna first sang about the tiny town of San Pedro, Belize in 1987. Touched by its beauty and charm, she fell in love with the little island paradise. Decades later, the town has changed very little. There are no cars, except taxis. The people ride in golf carts, small motorcycles, and bicycles. There are few places as beautiful and as untouched by the rest of the world. Financial Management for Progress, 33min. (BNTU) Resolutions of issue with MOE, 41min. Time Management for Productivity, 31min. Belize Turneffe Flats Diving 0 to 140ft, 24min. Belize 2016 Ants Marching, 1min. Ants working during the day. An amazing example of their effective social structure. Building Rome in a day! Set to HD! 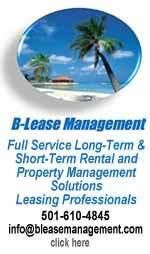 Overview of Belize Healthcare, Health Insurance, Hospitals in Belize, and Belize Physicians, 4min. Courtesy of Will Mitchell from RE/MAX Island Real Estate on Ambergris Caye, Belize, this video is designed to help you understand all your options for healthcare in the country of Belize. Topics covered in this video include the Belize Healthcare system, Health Insurance in Belize, Hospitals in Belize, and an overview of what to expect from physicians in Belize. Diver startled by sudden appearance of curious shark, 23sec. Two young divers explore the depths of Tacklebox Reef in Belize. Christian has no idea that he is about to meet a shark very close up. 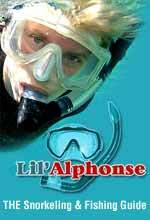 His brother, Cameron, watches mischievously, keeping quiet as the shark comes up from below to meet Christian face to face. Almost spitting out his regulator, he tries desperately to back paddle before recognizing it as a friendly and curious nurse shark. Panic turns to laughter as he catches his breath again. Cameron almost pats the shark on the head like a good dog that has just performed a trick! Favorite meal of critically endangered Hawksbill sea turtle, 31sec. Hawksbill sea turtles are critically endangered. They can still be found in the waters of Belize and Mexico. They are becoming a rare sight for divers as their numbers have plummeted. This one is very relaxed as he cruises the reefs around Ambergrise Caye, Belize, looking for a meal. The Hawksbill turtle is a carnivore and his favorite food is coral. He scrapes off the tiny creatures with his hooked beak. These beautiful creatures usually swim away from people but this one allows a lucky diver to move right up and film him eating. 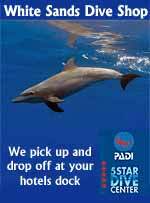 A slow and respectful approach is crucial with any marine animal. See why tiny San Pedro is a world famous destination, 1.5min. Madonna sang about the tiny town of San Pedro, Belize in 1987. She was touched by its beauty and charm and she fell in love with the little island paradise. Decades later, the town has changed very little. There are no cars, except taxis. The people ride in golf carts, small motorcycles, and bicycles. There are few places as beautiful and as untouched by the rest of the world. The ocean, the island and the people make this a place that anyone could fall in love with. Wellness for a Better You, 31min. Belize Electricity Limited - BEL's Universal Access Initiatives, 30min. Resolution Week - Setting Realistic Fitness Goals for 2017, 27min. Bouncing boys on Caye Caulker, 10sec. Talented kids! Imagine if we nurtured their talent? Jerry Jeff Walker in Belize, 4min. This video was taken at The Zone recording studio in August 2009. Jerry Jeff and the boys are recording "Down in Belize" for the new digital release, Moon Child. Check out Jimmie Ibbotson of the Nitty Gritty Dirt band playing bouzouki and singing harmonies! Moray eel at night in Belize, 1/2min. Got this footage of a swimming moray eel while doing some night diving in Belize, at the Hol Chan marine park off Ambergris Caye. Nurse sharks galore in Belize, 1/2min. Short video I took while swimming in the water while it was chummed for nurse sharks. NEW YEARS 2017 BELIZE, 6.5min. 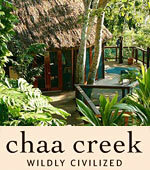 Belize - Hol Chan Reserve, 1min. Swimming with the sharks. Belize Tire Depot - SERVICES, 1min. Belize Tire Depot - Goods, 1min.